Copper Box, London - For the vacant BBBofC British light heavyweight title, Olympic bronze medal winner Joshua Buatsi (10-0, 8 KOs) took out Liam Conroy (16-4-1, 7 KOs) in the third round. Coming in, Conroy stopped five opponents in a row - including Joe McIntyre in two back in December. He was also on a nine fight win streak. 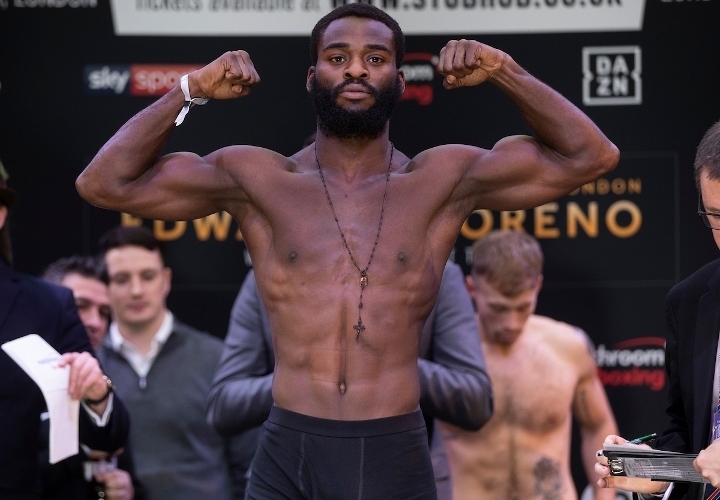 Buatsi needs a step up fight in USA. He is a future world champion. [QUOTE=Chrismart;19611297]I enjoy watching him fight, and I'm very interested in how his career develops. I enjoyed the Maxwell fight also tonight over on the BT card. Great ending. [/QUOTE] That Maxwell fight was the best of either show. I enjoy the way he fights, everything looks so natural but I still wonder whether he's got a good chin or not. I'd like to see him against a top 15 guy next.